Councillor Howard Sykes writes: “You may have had an email through from the Independent Age charity. Here is the reply sent by Councillor Richard Kemp, our lead member on social care at the LGA”. 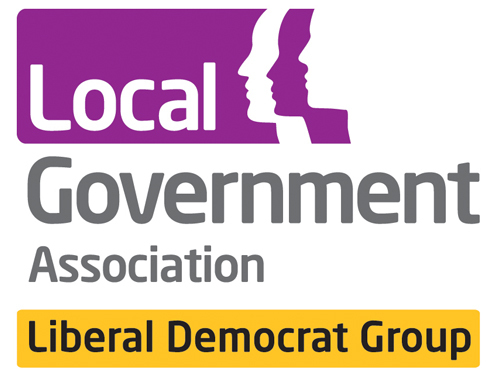 As the Liberal Democrat lead on the LGA’s Community Wellbeing Board I have been pushing the LGA to take up the sorts of issues in the sorts of way that you indicate in this e-mail. Our current policy as a Liberal Democrat is to introduce the Dilnot cap suitably upgraded for inflation which would give people certainty about their position as they grow older. This could, of course, be accompanied by a personal insurance contribution to cover this cost or to provide money for activities over and above those which are statutorily provided. An increase in income of 1p for health and social care. This would bring in approximately £7.1 billion a year. There are of course other ways to raise and spend this money and your suggestion of a ‘social care contribution’ could be a good way of doing this. I am unclear, however, at this stage as to how this would be levied, how much it would cost and who would pay it. To move money within the NHS budget from curing to prevention. This is, in theory, now Government policy as well. Too many people have preventable illnesses and conditions which can be ameliorated if not fully prevented by more provision upstream. Even conditions such as dementia can be slowed by an active community-based approach. This is better for the individual and also has considerable financial savings to the NHS and social care. Improve wages and support for paid carers and increase support for the army of voluntary carers who willingly look after their loved ones or neighbours. Develop a proper system of training and support for carers, nurses and ancillary staff within both the NHS and care systems to allow maximise use of skills, knowledge and time and create a career pathway for staff. A host of health and care organisations have signed an LGA-led letter to urge the Government to be bold in its upcoming adult social care green paper and Spending Review and urgently invest in adult social care services which face a £3.6 billion funding gap by 2025. It says: “Brexit cannot be a distraction from the challenges facing our adult social care services which millions rely on every day. Older and disabled people who need dignified care and support and unpaid carers deserve action now.” Other signatories include Age UK, Association of Directors of Adult Social Services, Association of Directors of Public Health, SOLACE and NHS Confederation. Two years ago the Government rightly recognised the scale of the problem and the need to find a long-term, sustainable solution. Two years later and its long-promised comprehensive green paper on the future of adult social care still hasn’t been published. High quality, properly funded social care and support enables people to live the life they want to lead and access the right care in the right place at the right time. But with people living longer, increases in costs and decreases in funding, this is becoming more and more difficult. While one-off funding injections have helped to curb the severity of immediate pressures, they are only short-term and do not address the underlying structural problems facing the care and support system. Adult social care services face a funding gap of £3.6 billion by 2025. This is what is needed simply to keep on providing existing support at current levels and would not meet the cost of changing the current model of provision, or include the funding needed to tackle under met and unmet need. Brexit cannot be a distraction from the challenges facing our the adult social care services which millions rely on every day. We are uniting today to urge the Government to be bold in its upcoming adult social care green paper and Spending Review and urgently invest in these essential services, which also help reduce demand on the NHS, prevent sickness and reduce hospital admissions. Older and disabled people who need dignified care and support deserve action now.